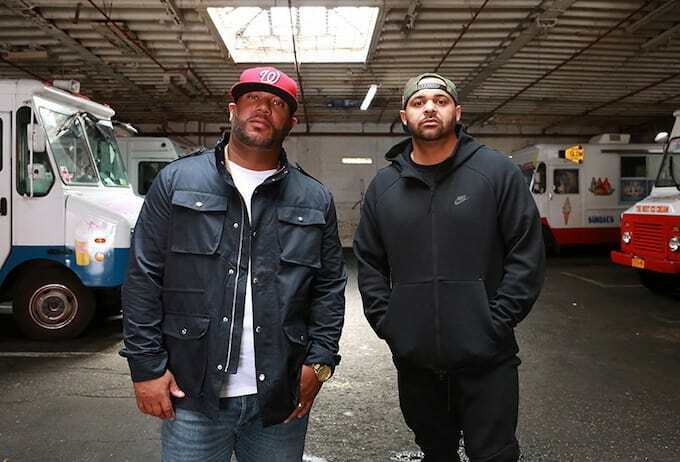 Home / Apollo Brown / Joell Ortiz / MUSIC / Joell Ortiz x Apollo Brown Feat. Royce Da 5'9 "Timberlan'd Up"
Joell Ortiz x Apollo Brown Feat. Royce Da 5'9 "Timberlan'd Up"
Joell Ortiz, Apollo Brown and Royce Da 5'9 bring back street rhymes on their latest collaboration "Timberlan'd Up." The hard-hitting track will appear on the upcoming Mona Lisa album between producer Apollo Brown and Joell Ortiz. "'Timberlan'd Up' started with the hook; it guided me to make the beat," Brown tells Complex who premiered the track. "It needed to be simple, really simple, and it was a must that it complimented the threat of consequences being stated. Of course, Joell did his thing and the fact that we enlisted Royce to bless the track was both inevitable, and incredible. Listen close to what they say. Both emcees did what they do best, and I wouldn't be Apollo Brown if I didn't have one of these joints on Mona Lisa. Bang your head!" According to Ortiz, Royce Da 5'9 is the only guest feature on the project. "'Timbalan'd Up' is the only song on Mona Lisa with a rap feature. I called on my brother Royce da 5’9" to do what he does best," Joell told Complex. "The track title is self explanatory. Don’t get stomped on! We give beatings on or off beat." Available for pre-order here. "Mona Lisa" drops October 26 via Mellow Music.